Prevent weight loss? 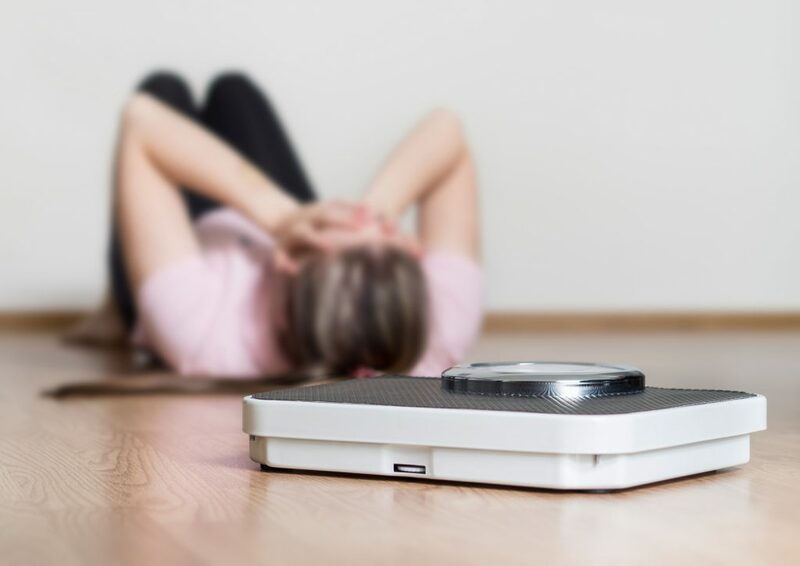 It can be truly devastating to step on the scale after a week or two of rigorous dieting and see that your weight hasn’t dropped. Even worse is if the scale shows weight gain! What on earth is going on? You probably know if you “cheated” or did something that might have impaired the diet plan (that glass of wine each night, the nibble of brownies several times that week, or the extra slices of pizza over the weekend can solve this mystery). However, what if you didn’t cheat at all? What if you did all that you “thought” you should do? You chose the wrong plan – If someone else lost a lot of weight following a specific diet plan, it does not mean that the same plan can work as well for you. Such issues as their lifestyle, their metabolism, and their amount of exercise can make the difference between success and failure. So, choose a plan that works according to your personal preferences and needs. You’re not sleeping – Lack of sleep can indeed reduce the effectiveness of even the best diet and exercise plan. Why? If you don’t get the necessary amount of sleep your body can pump out a natural chemical known as cortisol. Not only does this make it extra difficult to shed unwanted weight, but it can also promote fat storage. So, get those eight hours or more each night. Not eating enough – You have to have heard this one: When you starve the body it tells the metabolism to slow down and go into emergency mode. In other words, starving the body doesn’t allow for long term and sustainable weight loss. In fact, your body taps into muscle to burn before it sheds unwanted fat, and not eating enough can even change the metabolism. Spread it out – If you are eating only one meal a day, you are truly sabotaging weight loss. This is especially true if you go all day without eating and then consume a large dinner. You don’t have any time to burn calories and your metabolism won’t thank you for this either. Spread out your meals over the course of the day to enjoy peak calorie burning and a stable metabolic rate. Skipping breakfast – It really is the most important meal each day and it is going to deliver optimal energy and nutrition to the body that is just emerging from sleep. If you don’t eat breakfast, your body taps into muscle for energy and this only leads to weight gain as muscle is your best fat burner. Cardio only – You walk three or four miles but are not losing weight. This is because going exclusively with one form of exercise or another does not help with weight loss. You have to do cardio and strengthening for the best results. In fact, interval training is known to be great for metabolism and weight loss. You’re not being patient – How long did it take for you to reach this current weight? It will take you a lot less time to lose it, but only if you are patient, persistent, and keep yourself calm. You are stressed – We know that not getting enough sleep can harm your weight loss efforts, but did you know that living with too much stress creates the same problem? If you feel too much pressure you are likely to produce too much cortisol, eat for comfort, and struggle with weight loss. You behave like a yo-yo – Do you “diet” and then eat however you want until your clothes don’t fit? If so, you could be a yo-yo dieter, and this has proven to be far more detrimental than almost any other behavior. Consistency is the essential pattern for weight loss and weight maintenance. Eating out or emotionally – Some of us don’t realize how we eat badly when out or when in an emotional state. Pay attention at all times to your eating pattern and control yourself when you dine out or when you reach for a donut or cookie instead of the phone to “vent” with a friend. These ten behaviors are common “saboteurs” that prevent weight loss, but now that you know them, you can make yourself more aware, make some changes, and lose that weight.